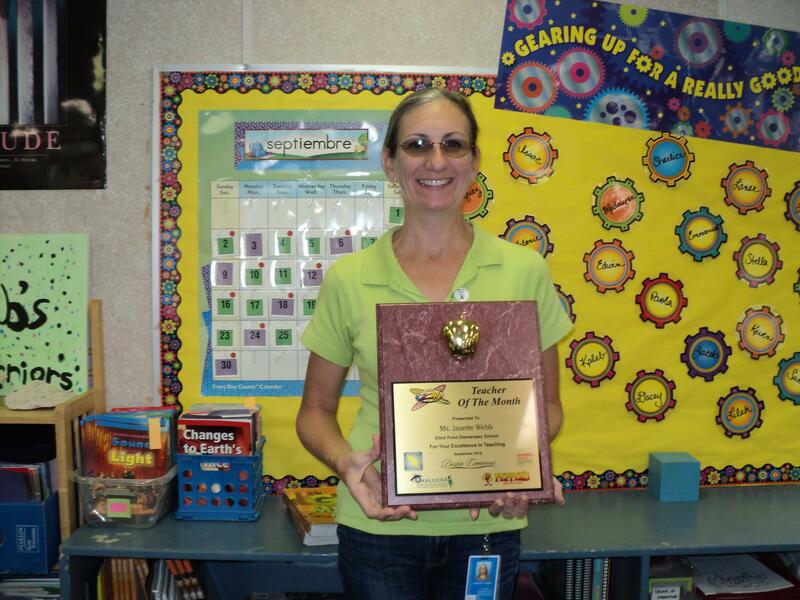 Congratulation to our September Teacher of the Month Winner, Ms Janette Webb from Elliot Point Elementary School. She is a 5th grade math and science teacher and is considered to be the “greatest breath of fresh air.” She is always in communication with parents when it comes to their child. Whether it’s good or bad, she is always communicating to the parents the needs (if any or needed) and praises of the child. Z-96 has been honoring these local heroes since 1999.